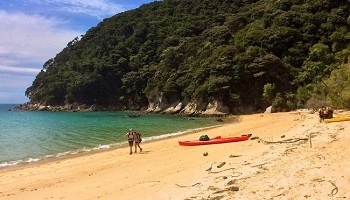 New Zealand’s best kept secret is out! 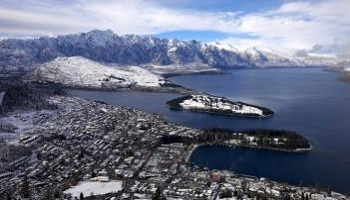 Winter is truly a spectacular time to visit New Zealand! 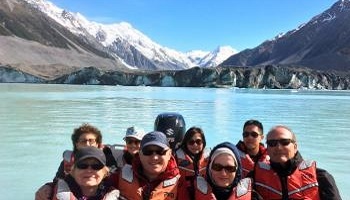 More and more people are visiting New Zealand in winter time to experience its breath taking alpine scenery, snow-capped mountains and pristine lakes. 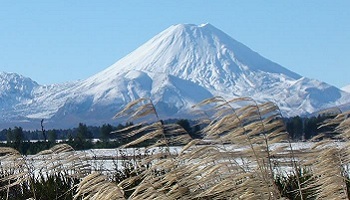 Experience a Kiwi winter wonderland with this 14 day New Zealand tour from favorite destinations such as Rotorua, Tongariro, Abel Tasman, Mount Cook National Park and Milford Sound to a few new favorites in winter such as renowned Thermal Hot Pool and Spas of Hanmer Springs and the world class alpine village of Queenstown! 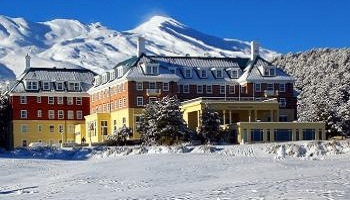 Relax in the world renowned Hanmer Springs Thermal Pools and Spas set amongst breath taking alpine scenery. Two special lunches (L) - Te Wairoa Buried Village Lake Tarawera, Rotorua; Akaunui Farm homestead, Canterbury. Loading up the car and heading across to ‘the mainland’ is what we all used to do on holiday as kids, it’s a Kiwi rite of passage! 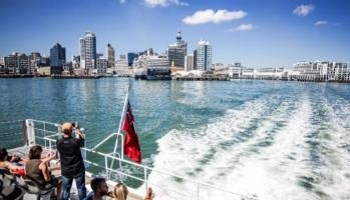 We cruise on the Interislander ferry for three hours across Cook Strait and into beautiful Queen Charlotte Sound to Picton to plant our feet firmly on “Te Waka a Maui”, the South Island. Our first port of call is Forrest Wines for tasting and lunch, right in the heart of the world famous Marlborough sauvignon blanc region. We depart Nelson for the famous Pelorus River (scene of the Barrel Run from the Hobbit) before leaving the orchards and artisans behind for the foothills of the Southern Alps and Canterbury. The road travels through the picturesque countryside of the upper South Island before traversing the Southern Alps at the Lewis Pass and continuing on to the picturesque alpine village of Hanmer Springs! In the evening relax and wind down in the world renowned Hanmer Springs Thermal Pools and Spas set amongst breath taking alpine scenery! We travel from the alpine village of Hanmer Springs to visit Akaunui Homestead, a working farm and Canterbury heritage building surrounded by huge gardens. They'll show us round their farm and home, as we enjoy great Kiwi company and fresh produce straight from the garden of our friends, Di and Ian Mackenzie. Package pricing is based on double occupancy (2 people sharing a room) from Los Angeles for purchase by 31 March 2018. Add-on fares are available from other cities. Seats are limited and may not be available on every flight. Tour is subject to availability. All prices reflect a discount for purchases made by cash/wire transfer/check, please see terms and conditions for credit card payments. There are no discounts for payment made by credit cards. Cancellation penalties and other restrictions apply.